I just plugged the Razer Core X into my Mac, preferably on the top right usbc port, and installed the nvidia driver once booted into windows (bootcamp). Restart. And it worked! 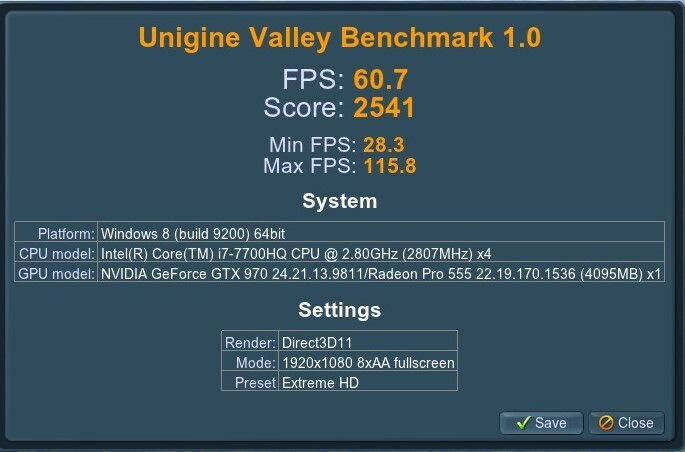 The Performance improvement is awesome! Gaming and productivity is very near my old desktop, where I salvaged the graphics card from. 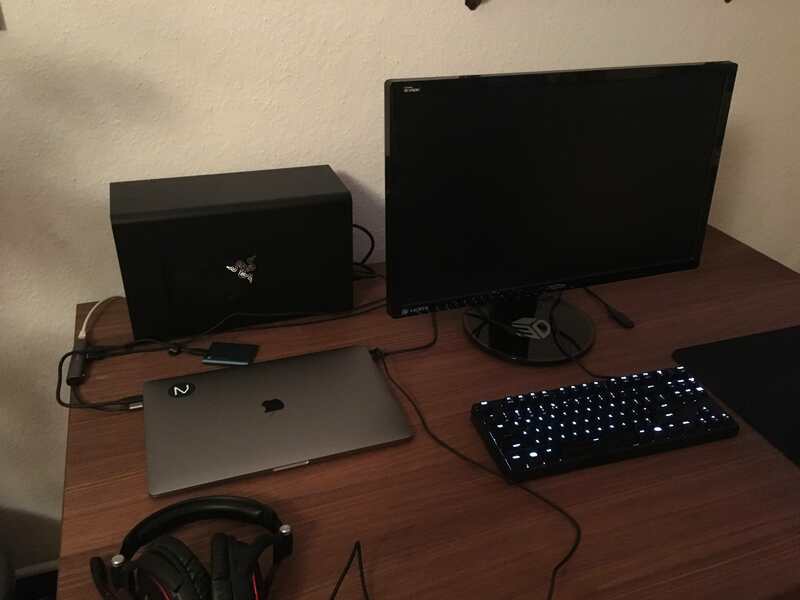 I find this setup very interessting because I managed to transform my daily work driver, the MacBook Pro, into an allrounder with the small blue box, a Samsung T5 512 GB external SSD, as my windows 10 bootdrive and a desktop graphics card in the Razer Core X I can now game reasonably well on it and it is a pleasure to work in the Unreal Engine 4 Editor. Because of the external ssd the setup feels quite exotic, but I was impressed how it performs and works out of the box. 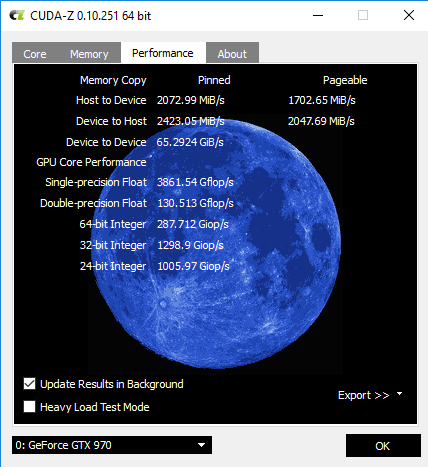 Since I don't have a AMD desktop card to plug into the Razer Core X, I haven't tried to get the eGPU run under MacOS. I think i want to attempt this build despite the smallish trade off power for portability but i must ask does hot plugging work for you on the Windows side of the things? Since this article doesn't recommend booting from external drive, how was your experience booting from your external SSD?